Sobriety is a wonderful gift. Sobriety can be challenging, at first, but recovery is possible even if alcohol is part of your job. Alcohol seems socially acceptable. There are certain industries where alcohol is huge component of work. Acknowledging and accepting this is important. 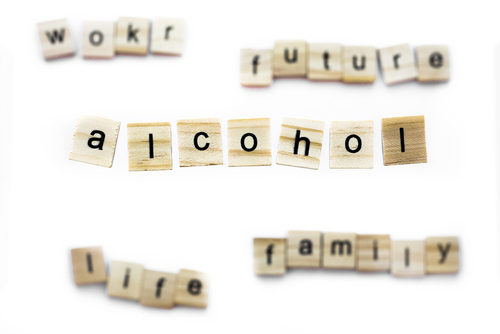 However, you can build coping skills and learn how to navigate situations where alcohol is present. After work drinks are commonplace amongst professionals. Happy hour has almost become a social norm. Despite this trend, alcohol is responsible for large numbers of early illnesses, family, and social problems in today’s society. For those in recovery, the after work drink is out of the question. Acceptance is the first step of staying strong when it comes to socializing and networking, especially when it’s part of your job. The 12 step program and treatment programs will teach you that you need to acknowledge your relationship with alcohol or drugs. Essentially, you need to firmly understand that addiction doesn’t give you the quality of life that you desire. Most likely, addiction has come with costly consequences. You can’t isolate and avoid every event. Having a plan and following it is key to successfully overcoming cravings. The good news is that it gets easier the longer you’ve been sober. You’re going to have to work on your recovery for the rest of your life, but that doesn’t mean you have to bored, stressed, or anxiety ridden. The life that recovery offers is much more meaningful than your best day in addiction. Hired Power is an expert in bringing compassion to addiction treatment. If you want to learn more about navigating early recovery, call Hired Power today at 714-559-3919. Hired Power is the ally you need to help you become empowered in your recovery journey.